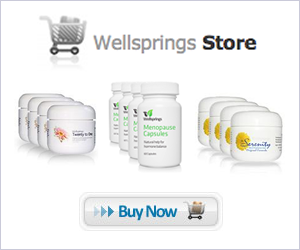 While many women start using Wellsprings creams to combat symptoms related to menopause it is common for them to continue use it into later life. While many women start using Wellsprings creams to combat symptoms related to menopause it is common for them to continue use it into later life. The prime benefits of this are to combat the effects of osteoporosis, however there is evidence to suggest that natural progesterone helps combat cancer and heart disease.